Catersource 2019, here we come! Certain times of the year Fineline Settings supports different industry venues to showcase packaging products and disposable table settings. As a manufacturer of all things catering, packaging, tableware, and cutlery, we work to highlight and celebrate YOUR style. February 24-27, Fineline Settings will be at Catersource New Orleans 2019 kicking off Mardi Gras in style with a look at how we can help bring a little extra energy to your sales. Come to our booth and look for the colorful Quenchers line of products to fit your Mardi Gras themed event. In fact, we have cater trays for those King Cakes and lids to accommodate the baby and beads for easy transportation. OR get really fancy and make “Personal” King Cakes and package in our tiny domes or tiny trays & lids (you know for the teeny tiny baby and the itty bitty beads 😊). Be on the LOOKOUT – We will be displaying our new sturdy paper straws for any beverage and compostable cutlery in bone, white, and black. ALSO we have new PETE lids for the bagasse products in the Conserveware category of packaging. In true Fineline approach, the straws and cutlery come individually uncovered for container handling or wrapped for sanitation and public access. (BTW the cutlery has a compostable stamp on the product for authenticity.) The lids for the bagasse products come dome or flat. If artistic flare is what you are looking for some lids have a scalloped edges helping set the tone for your creations. Those are just some of the new products we are launching for 2019. At Fineline we believe our greatest asset is our workforce – so come meet us! We send our national sales team to facilitate, inform, & demo our products while learning and collaborating with chefs from around the world to keep up-to-date on new food trends and styles. We feel this united approach of learning and supplying is the one-stop-shop variety that helps fulfill your packaging vision for today and anticipate your packaging desires for tomorrow. 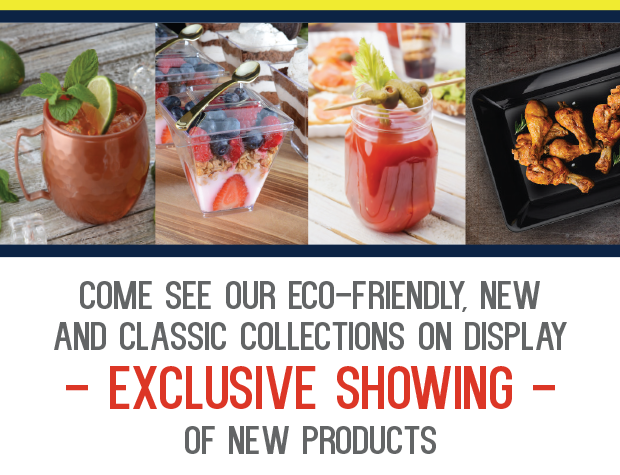 Shows like Catersource New Orleans 2019 give you every opportunity to touch and see first-hand all the great new products available and reacquaint yourself with our most popular products. Coming soon - Fineline Settings will be helping National Restaurant Association (NRA) Chicago 2019 celebrate 100 years May 18-21, 2019 at McCormick Place downtown Chicago, Il. 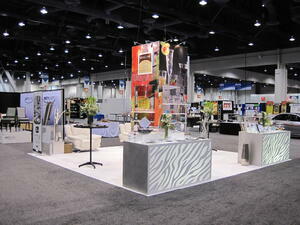 Come over and network with Fineline Settings national sales team and celebrate in style at our booth. Visit us in New Orleans at Catersource 2019, Booth #437! Sharp, Stylish, and Splendid! We're Talking Squares! 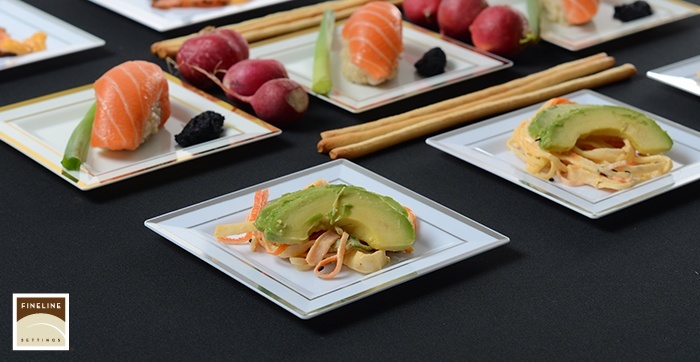 The catering world went wild with the release of our Square Splendor Salad and Dinner plates! 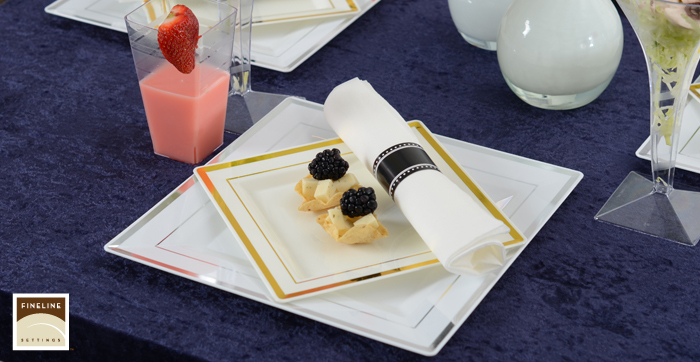 Our gilded edges cut through the catering clout of disposable dinnerware with fashionable form and function! 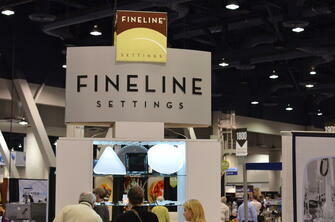 Because we know you can’t get enough, Fineline has brought your next soiree a splendiferous new addition! 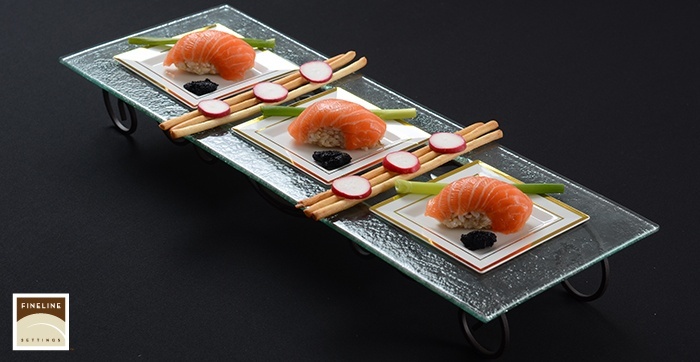 Square Splendor 4.5” Appetizer Plate! Your perfect cocktail hour companion now in place, give your glitz a little glamour and take a look at some spendid features this little plate has to offer your next event! 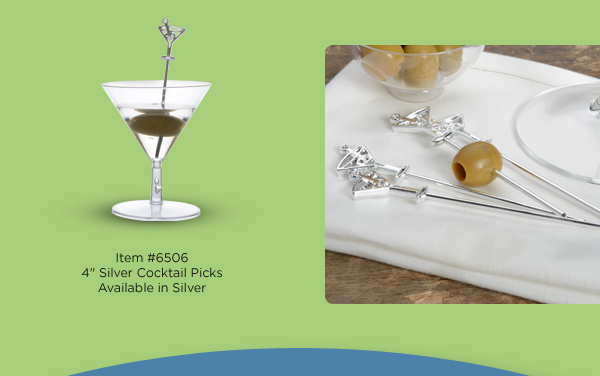 Perfect for desserts, appetizers and all of your light menu affairs! Offered in both gilded bone, and silvery white! 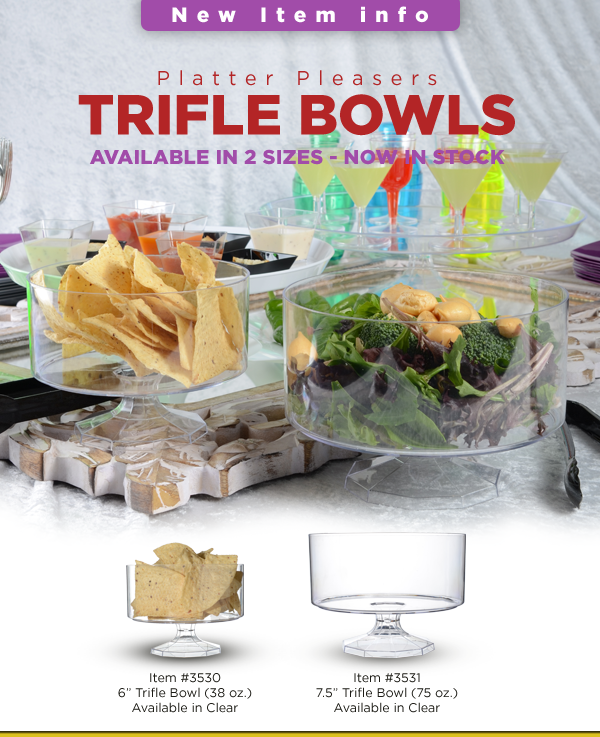 Exceptional serving space in the palm of your hand! Durable polystyrene plastic in a flawless foiled finish! 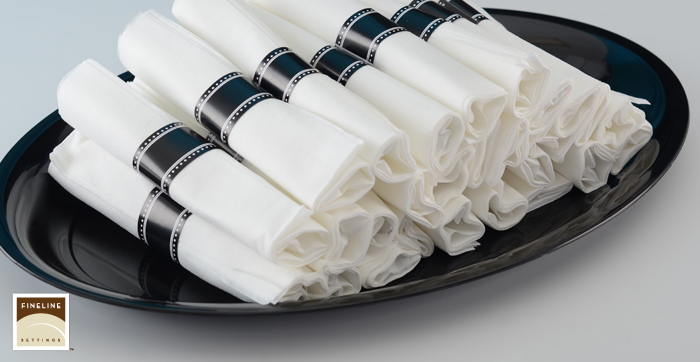 Now the sharpness of your style can shine throughout every course of your catering adventure! We know that you’ll find so many beautiful table setting ideas with these little knock-outs, so share them with us! Tag us on Instagram, or on Facebook! It makes our day to hear from you, so don’t leave us hanging! We hope you have an amazing rest of your September! 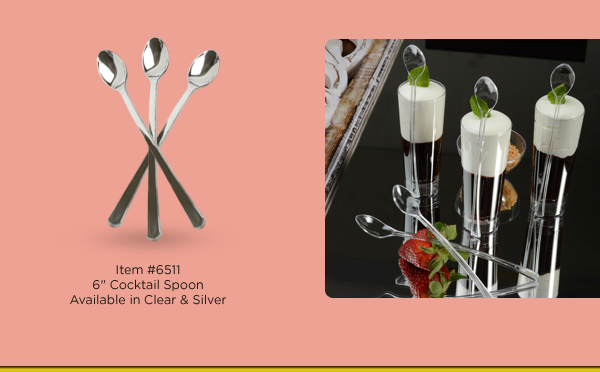 Silver Secrets happily adds Rolled Cutlery to its collection! Familiar Premium Silver flatware in a rolled napkin that is completely disposable is here! Quality in the form of disposable plastic that is easy to see and feel! Chic and simple design that will compliment any and all of your special events! Classic style that’s ahead of its time with the convenience of recyclable plastic! Elegant, white, linen-like napkin that will please even the most discerning of laps! Two Styles to suit your unique event that will help save you time! 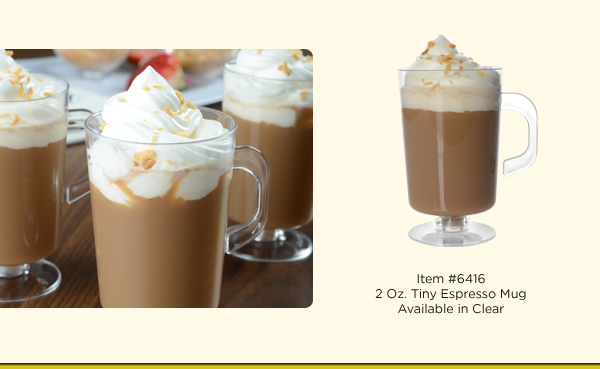 Perfect in size to accompany any one of our collections on your tablescape! Enclosed with a modish black and white band that never detracts from your theme! Disposable Napkin with a soft texture that resembles the traditional cloth-napkin! 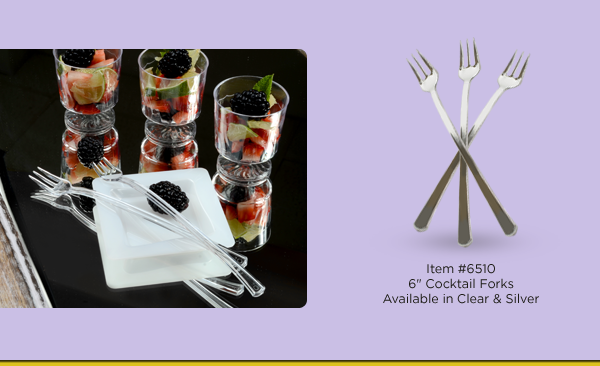 Smartly designed so that they’ll leave your guests stunned that it’s disposable! You will never suffer hours of labor wrapping traditional flatware again! Once again we strive in continuing to provide you with beauty and distinction that comes together in a perfect union of durability and disposability. Your table settings will glitter in your guests’ eyes as they lay an elegant cloth-like napkin across their laps and dine with glinting cutlery that not only reflects their happy smiles, but also mirrors the quality that our company eats, sleeps and breaths. Look forward to giving it a try no matter whether you need the dream trio of a Silver Secrets fork, knife and spoon; or keep it simple and smart with just a fork and knife. 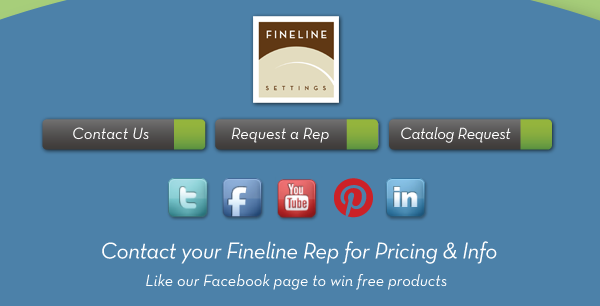 Fineline never forgets that options make the heart grow fonder! Let’s give a warm round of applause to the newest member of the family, Rolled Cutlery! After all, they may be shy at first, but we promise they’ll help you steal the show! Creating the Perfect Cocktail Party on your own! Serve up a party with these NEW Tiered Plastic Cake Stands! It's that time again when we introduce you to a new item in our family, as you already know, we always seek to improve and add products to our premium line in order to help and satisfy the needs of the consumers, chefs, party planners, foodservice owners and others and we're proud to say that we are getting satisfactory reports thanks to you all! Today we bring you our NEW Premium and beautifully well structured Plastic Cake Stands, they are available to ship from our Middletown NY warehouse today! With a selection of 3 sizes to choose from, we have a 9.75" tray and stand, 11.75" Tray and stand and a 13.75" Tray and stand, they also are available in color clear and white. Use these new plastic cake stands at parties where you want to build a display of 3 tiers, great for use individually as well, place mini desserts on them, cupcakes, full round designer and delicious cakes will look great on them, also can be used for parfaits, mini cocktail tasting dishes. 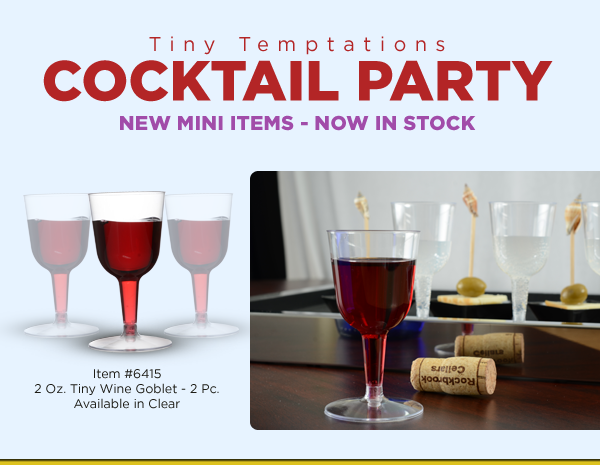 You can mix and match with our Tiny Temptation dessert and mini dishes, and with all these being premium plastic and disposable you have the luxury of just throwing them away or reusing them by hand washing them (I would throw away the mini plastic dishes and wash the trays) or just disposing them in the recycling bin. 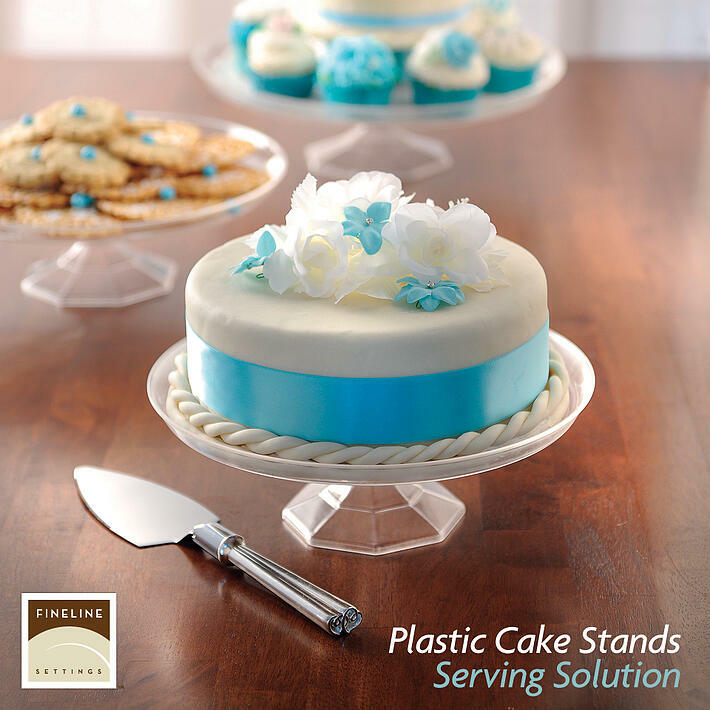 How would you use these new Premium Plastic Cake Stands at your party or event? We want to hear your comments below. Made of durable PET plastic, this thermoformed black catering trays offer added strength and visual appeal for a variety of tasks. 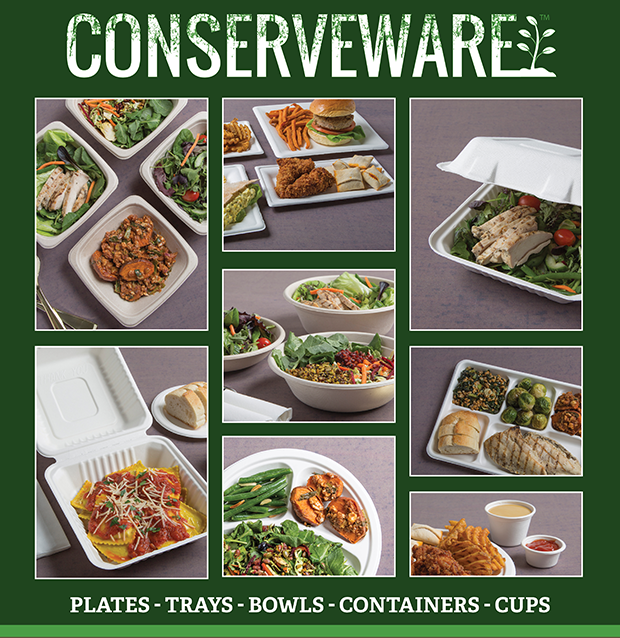 The thermoform round catering trays are perfect for selling prepared deli plates, veggie and dip trays, or pastry platters at your market, deli, or bakery. 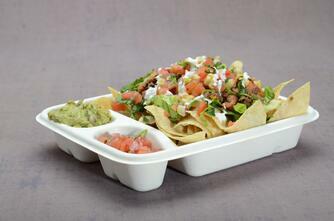 It's also a durable, disposable way to transport foods to your next catered event.